The accused were the main conspirators behind the burning of two coaches of the Sabarmati Express in 2002. A special judge of the Gujarat High Court has convicted Farooq Bhana and Imran Sheru for their role as conspirators in the burning of two coaches of the Sabarmati Express in 2002 and handed them life sentences. The court acquitted three others, identified as Hussain Suleman Mohan, Kasam Bhamedi and Faruk Dhantiya, while eight others are still absconding. 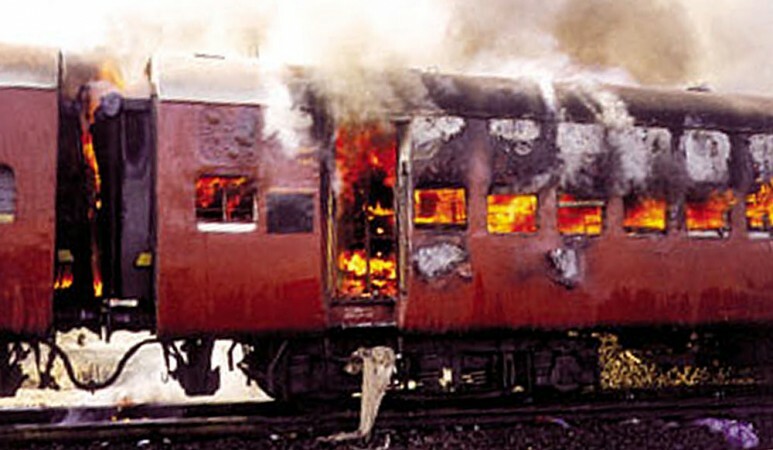 Fifty-nine 'karsevaks' were killed in the Godhra train burning incident of February 27, 2002, which triggered the worst communal riots in the history of Gujarat killing over a thousand people. Farooq Bhana, who was arrested near Godhra in May 2016, has been described by the police as a key conspirator in the burning of the train, which had left 59 people dead. In the FIR, Bhana was charged with conspiracy to put the S-6 coach on fire during a meeting with others accused at the Aman Guest House near Godhra Railway Station. JR Mothaliya, member of the Special Investigation Team (SIT) probing the case, said that Bhana was involved in the "entire planning, right from the beginning till the end". According to NDTV, at the time of the train attack, Bhana was a councillor in Godhra, elected as an independent candidate from the Polan Bazar ward. He had formed the board at the Godhra municipality with the support of the Congress party. But despite a red corner notice being issued against him, Bhana was living in Mumbai for 14 years using a fake identity of Umar Ahmed and made frequent visits to his family at different locations near Godhra. According to reports, Bhana lived in the slums of Andheri (East) in Mumbai and worked as a property broker. He even did some petty work on contractual basis with the Brihanmumbai Municipal Corporation (BMC), reported The Times of India.